T h e A w a r d - W i n n i n g F i l m P r o j e c t . . .
RTG Pictures has made the film (VHS/DVD) version of Return To Glory. Don Griffin and Joel Freeman have ensured that the message of the book is retained and production team has ensured that the production values are of broadcast quality. 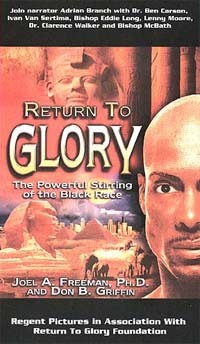 Endorsed by such notables as Bill Cosby, Julius Erving, Ben Carson, Joe Frazier, Tony Campolo and Tony Evans, Return to Glory: The Powerful Stirring of the Black Race has been enthusiastically received by an international readership from many regions including: West Africa, South Africa, North America, the United Kingdom, and the Caribbean. The film version of the book is uniquely powerful! "This film had a tremendous impact upon me...an eye opener." "...it fills a void in knowledge for all. 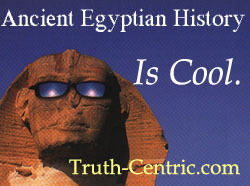 The film was very accurate with the history and everyone can learn something, regardless...very inspirational." "It awakened me...gripping...gives hope to all. " "...a profound effect. Even if there's no immediate outward positive effect reaction, there's so much food for thought. It will change viewers." "This film showed me that I can change and that I don't have to hold on to bitterness." "It raised good questions and gave food for thought." Co-author Don Griffin and Joel have established a (501)(c)(3) non-profit organization called RETURN TO GLORY. We will use this non-profit vehicle to raise a minimum of US$1,000,000 (One Million) for the distribution of this gripping film project in accordance with these bylaws. Tax deductible donation and the satisfaction of being a part of an excellent project that reveals an important message to this generation. An individual donor may want to have a special DVD edition manufactured, with the corporate logo on the lower front corner of the DVD case. We can even include a special letter of introduction within the DVD case. Call us to discuss this option. We are happy to provide a link on our web site, pointing people to your organization's web site, recognizing you organization's passion for getting the "Return To Glory message out. Every radio and TV interviewer will be told about the various corporate sponsors who made this possible. The sponsoring corporate logos and WWW links will be on this Return to Glory web site forever, and the logos of the corporate sponsors can be included on the front cover of the special edition of the DVD. The DVD version of the RTG film is available in any bookstores. There are a number of regional and international distributors interested in non-exclusive distribution rights. We are open to your creative distribution ideas. Since this is a not-for-profit, charity model, no individual can or will profit from revenues that may or may not come in from potential video/DVD rentals, distribution rights, broadcast rights, etc. and there are no guarantees that any money will be realized on this video/film project. Our goal is to donate a special DVD version to every juvenile detention facility, rehab center, prison and school (Middle, Junior High, Senior High, College, University) in America. This is an ambitious project, but our youth need to be educated. We want to do our small part to help with this education. How can you help? a sister project to the soon to be released "Return to Glory" documentary. How can you help financially to facilitate this remarkable opportunity? 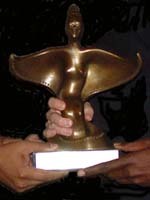 In October 2004 Dr. Freeman was a keynote speaker for the Association of International Schools of Africa (AISA). Three conferences were held in Botswana, Kenya and Senegal to make it easier for member and affiliate school faculty/administrators/staff to attend. Because of generous donations to the The Freeman Institute Foundation, Joel was able to donate a copy of the DVD film to every international school library in Africa. He returned to the same conference in 2007. 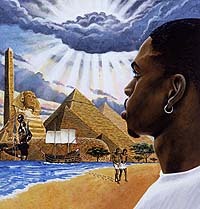 Renowned artist, Leonard Freeman (see Links Page to view his web site) was commissioned to provide the painting for the cover of the insert placed in every video and DVD. We are excited by Leonard's passion for this project. How You Can Participate In This Project? are available for speaking engagements.